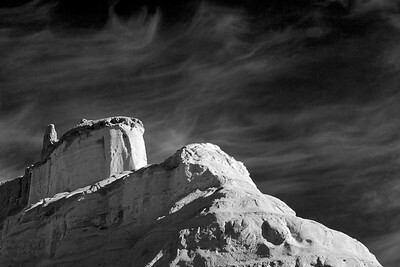 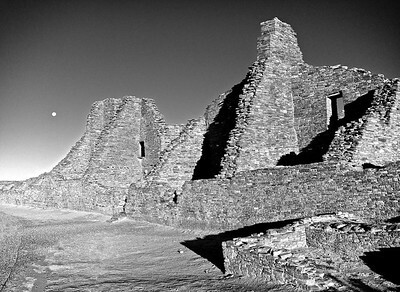 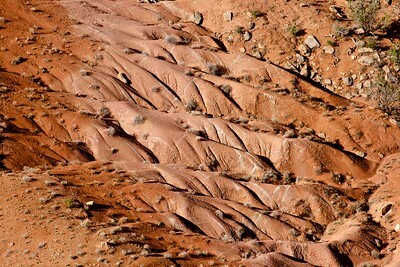 Hiking in the Bisti Badlands, near Farmington, NM, under the full moon is an enchanting experience. 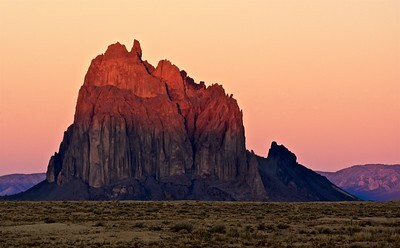 The first rays of sun illuminate Shiprock, near Farmington. 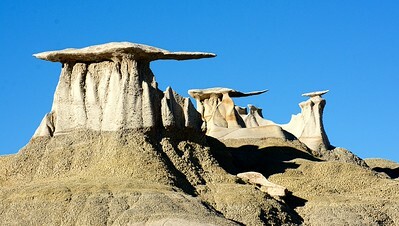 Caprocks on this set of hoodoos in Bisti badlands resemble some sort of alien aircraft fleet. 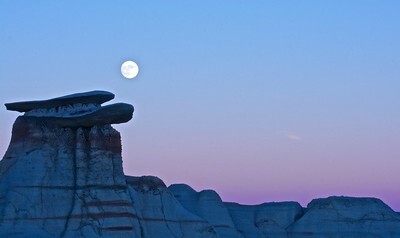 As dusk descends, the full moon rises over one of the incredible hoodoos at Bisti Badlands. 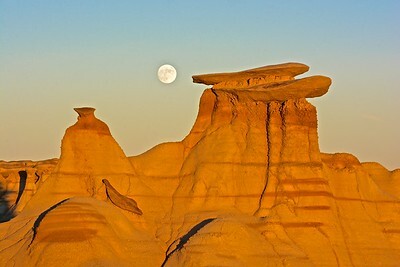 As the sun sets behinds us, the full moon rises over the hoodoos of Bisti Badlands. 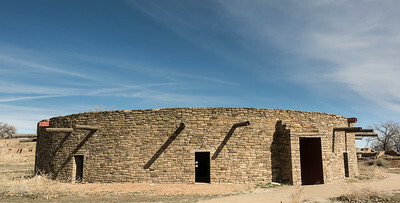 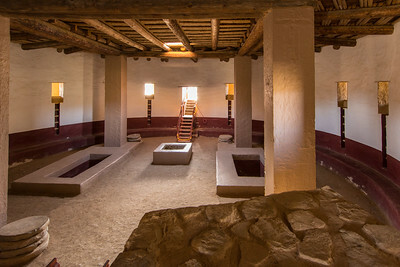 Note some (Spanish?) 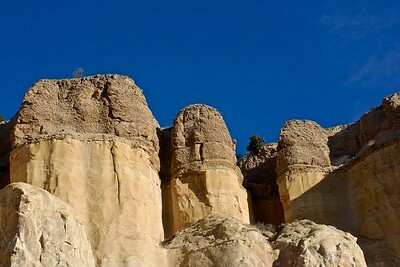 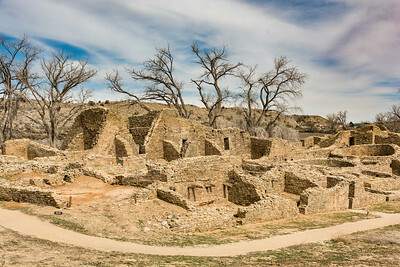 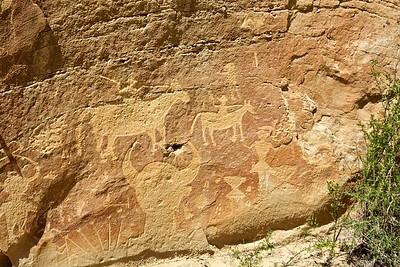 figures on horseback. 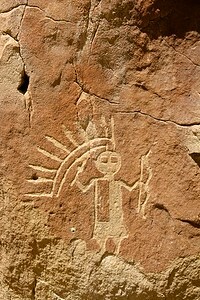 Male Navaho deity figure. 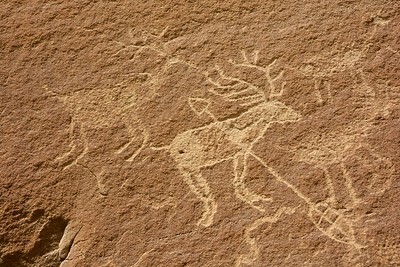 Note the feathered hump, staff, and mountain sheep horns. 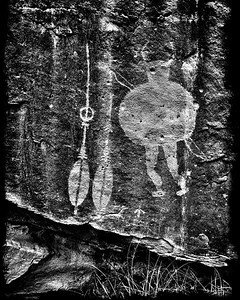 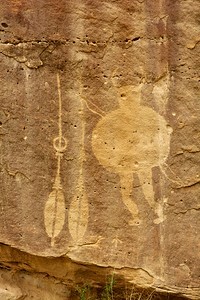 Note the spear through the elk figure's heart. 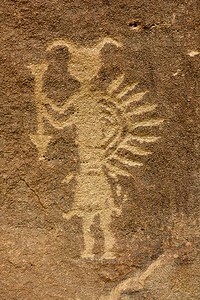 Male hunting figure, thought to represent "Monster Slayer" from Navaho creation myths. 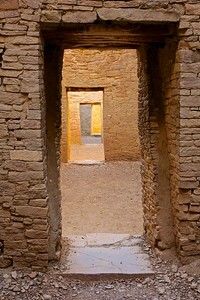 And the lighting is even better from the other direction. 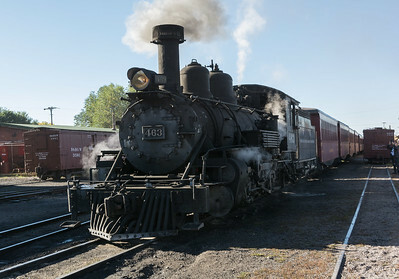 Our engine getting ready to take us over the pass.